Nowadays, color has an important position in the commerce, affecting the viewer pleasantly or unpleasantly. 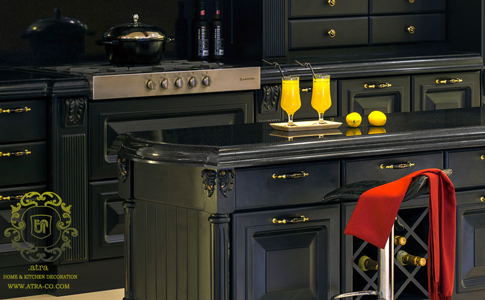 Black is a neutral color, able to easily harmonize with warm and cool colors. It also conveys the feeling of dominance and power. 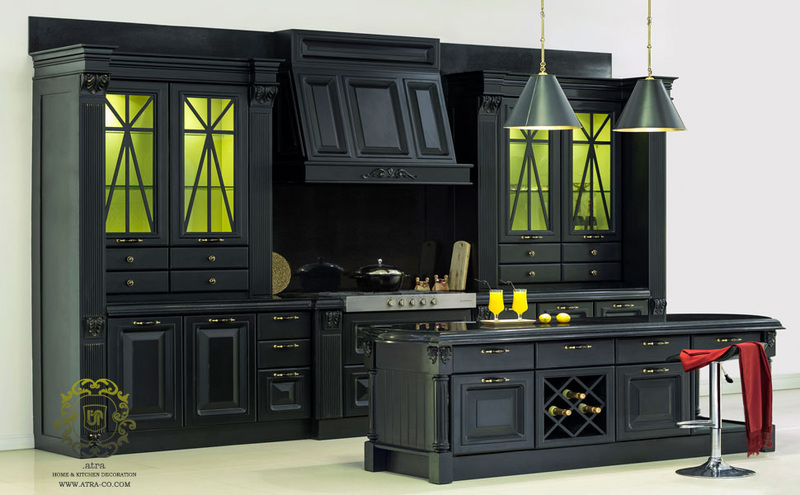 The main feature of this cabinet is its special, matt color known as “black-clad”. The color is Italian polyurethane. The matt performance of this job is notable difficult and unique in its beauty. The material is a combination of MDF, wood and locker. The ornaments and column crowns are all wooden, with the engravings performed seamlessly. Units are MDF material with their ornaments being carved via CNC method. The engravings and column crowns represent classic style with the CNC process and the color being representatives of modern style. Their combination lists Black Art as a postmodern design. The board used over the counter and cabinet is corin. A synthetic rock with unique features such as seamless execution and unmatched reparability. This material is antibacterial and easy to clean. The lightings of the units are sensor-equipped, liner SMDs used for not casting shadows in the levels.